TYPE: Sophisticated European seaside resort. ROOMS: The hotel has 74 rooms (including 24 suites, the Penthouse and The Villa Rose-Pierre) which were redesigned by Pierre-Yves Rochon. 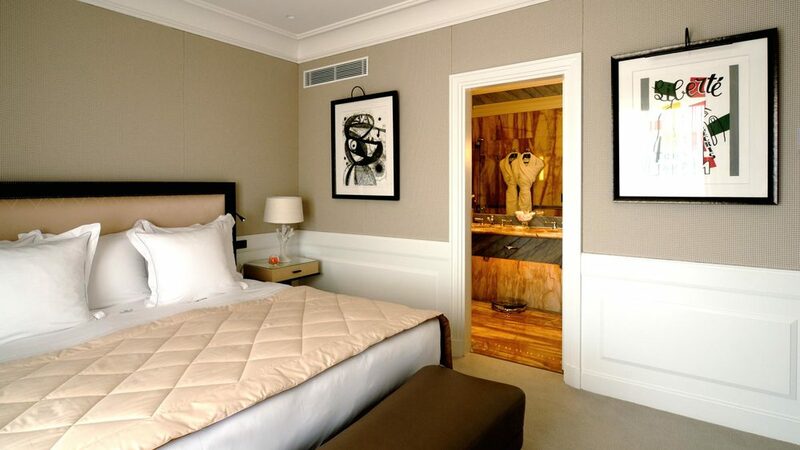 The rooms and suites are decorated in beige and white with elegant and modern furnishings. All bathrooms are in white marble with oversize bathtub and walk-in showers. The views are either over the Mediterranean or the pine trees and gardens. The hotel added a new wing in 2009 across from the main building featuring Terrace Rooms and Suites with private pools over looking the Mediterranean. This new wing was also designed by Pierre Yves Rochon. The 5-bedroom Villa Rose-Pierre has a private outdoor pool and was redesigned by Alberto Pinto in 2007. POOL/GYM: The hotel has a 33m heated sea water infinity pool that is situated along the rocky coast with great views of the Mediterranean. 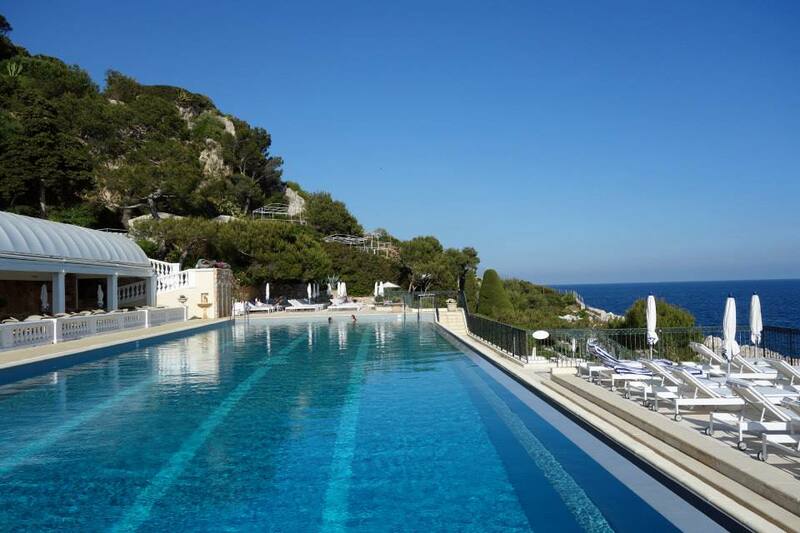 The pool can be reached by private funicular or a five-minute walk through one of their gardens overlooking the coast. Guests can also dine at pool restaurant Club Dauphin, serving local cuisine. 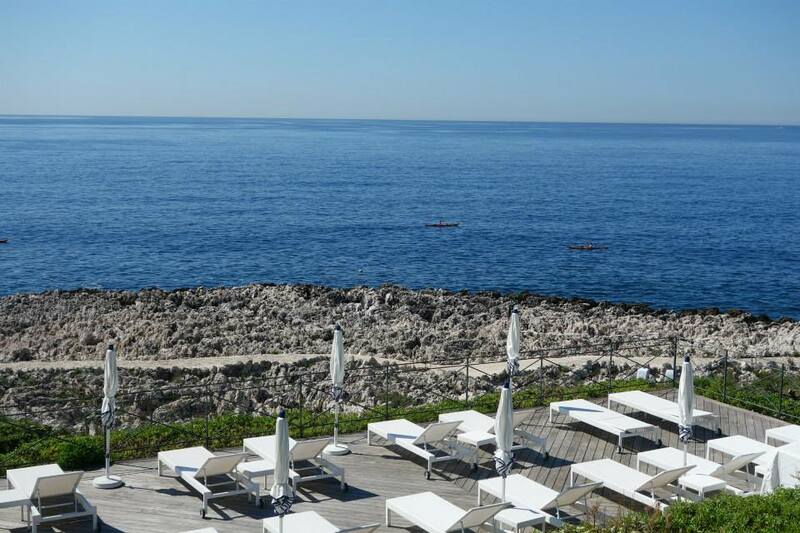 The gym has modern equipment with great views overlooking the Mediterranean and gardens. RESTAURANT: Le Cap gastronomic restaurant is a run by Michelin Starred Executive Chef Didier Anies which uses local and in season ingredients. Guests can have the option to dine in the indoor restaurant adorned with murals by artist Michèle Letang or al fresco when the weather permits over looking the gardens and the pine trees. The Cap also boast a 600-bottle wine list, from France and all over the world. Le Cap is only open for dinner. La Véranda Restaurant serves local Provencal cuisine and is open for breakfast, lunch and dinner. BAR: The bar is located just off the lobby and features splendid Murano chandeliers. Guests can relax at any time of day and enjoy a cocktail or a glass of Champagne, and light snacks after 9:30 am or afternoon tea. There is an outside terrace that guests can use (weather-permitting) with live music in high season. SPA: The Spa was designed by Pierre-Yves Rochon and offers a range of signature facial and body treatments by brands such as Bellefontaine and Carita. The Spa has a total of six treatment rooms and five garden pavilions plus an indoor swimming pool. KIDS: The hotel is child friendly and the Kids Clubs is open seasonally from June 1st to August 31st for children aged 4 to 12. There are also fun activities such as a mini lighthouse tours, a boat ride, slides, rope bridge and coloring games. The hotel also offers a children's menu. LOCATION: The Grand-Hôtel du Cap-Ferrat is located between Nice and Monaco at the end of a peninsula overlooking the Mediterranean. A thirty-minute drive to Nice International Airport (NCE). 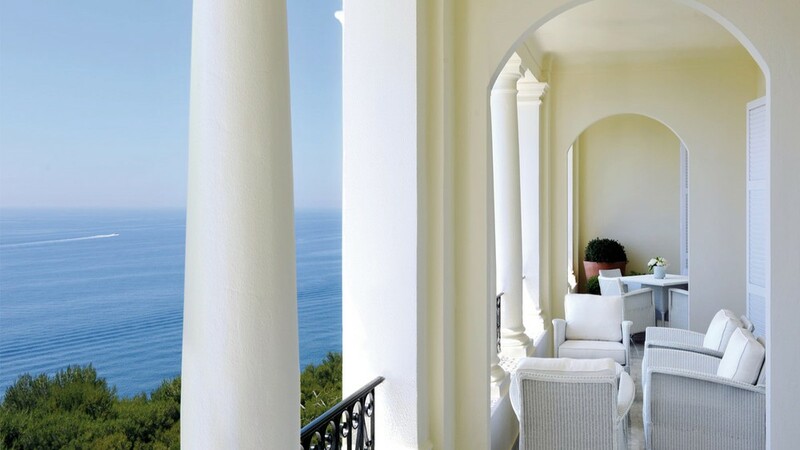 The Grand-Hôtel du Cap-Ferrat is located by the sea at the tip of Cap Ferrat and enjoys panoramic views across seventeen acres of natural surroundings. 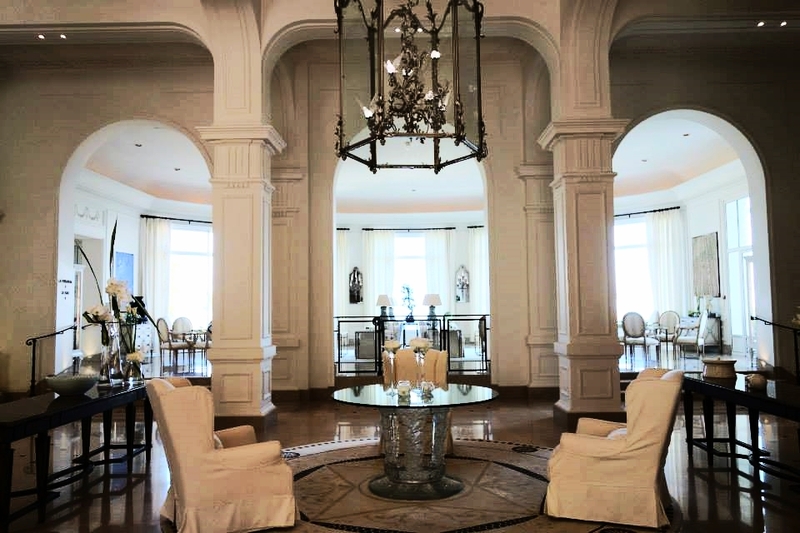 In addition to the impressive dining options, the hotel maintains a collection of well-known vintage wines such as 140 bottles of Château d'Yquem dating from 1854 to 2003 and 38 bottles of Château Lafite Rothschild dating from 1799 to 2003. This property is an amazing French Riviera retreat, offering total relaxation and luxury in a chic, well-appointed environment.